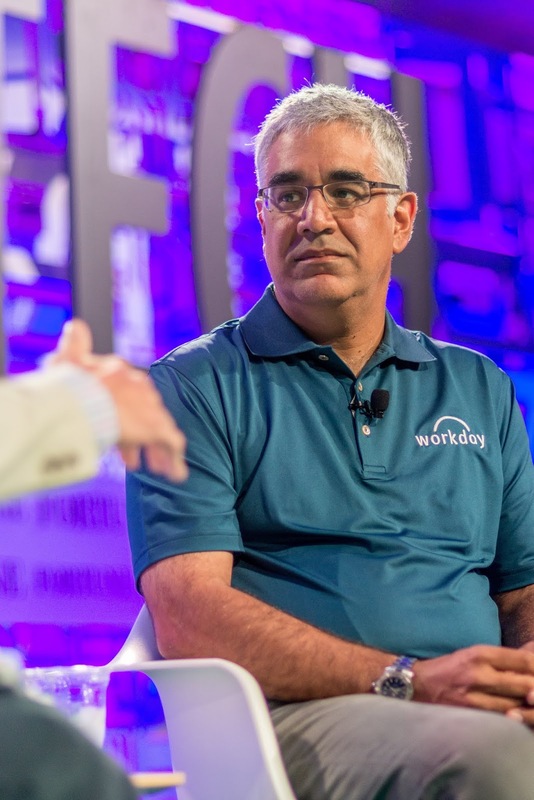 Cloud software company Workday recorded revenues of $743.2 million for its fiscal 2019 third quarter ended October 31, 2018 marking a 33.8% increase from the same quarter last year thanks to growth across its suite of enterprise products. Subscription revenues for the quarter came at $624.4 million as per its recently released financial results also marking an increase of 34.7% from the same period last year. Operating cash flows for the quarter were $114.3 million while free cash flows came at $58.9 million. 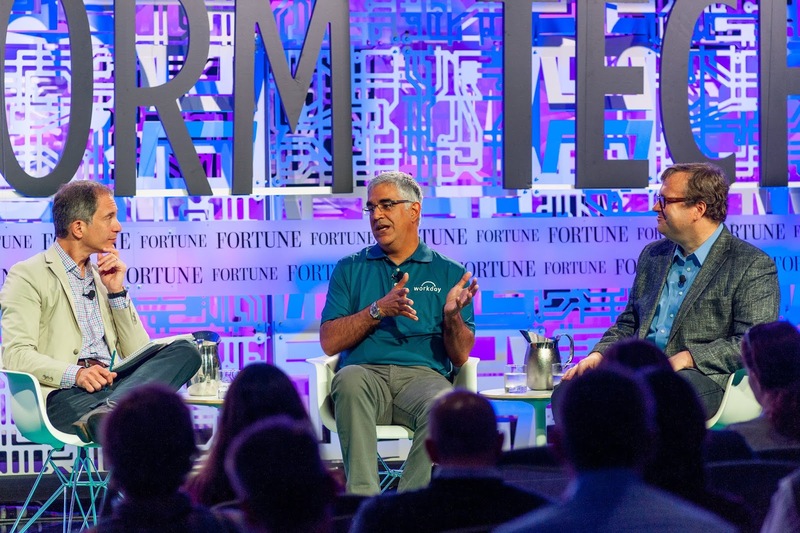 Workday CEO and co-founder Aneel Bhusri (middle) and LinkedIn co-founder and Greylock partner Reid Hoffman at the 2015 Fortune Brainstorm Tech conference. Also in this period, Workday hit various milestones which includes going live on Adaptive Insights Business Planning Cloud in just 10 weeks building on its $1.55 billion acquisition of the company, unveiling its Workday People Analytics software, ranking number one on the Fortune Future 50 list recognizing global companies with the best prospects for long-term growth and holding of its 12th annual customer conference, Workday Rising, in Las Vegas along with its fifth annual European customer conference, Workday Rising Europe, in Vienna. 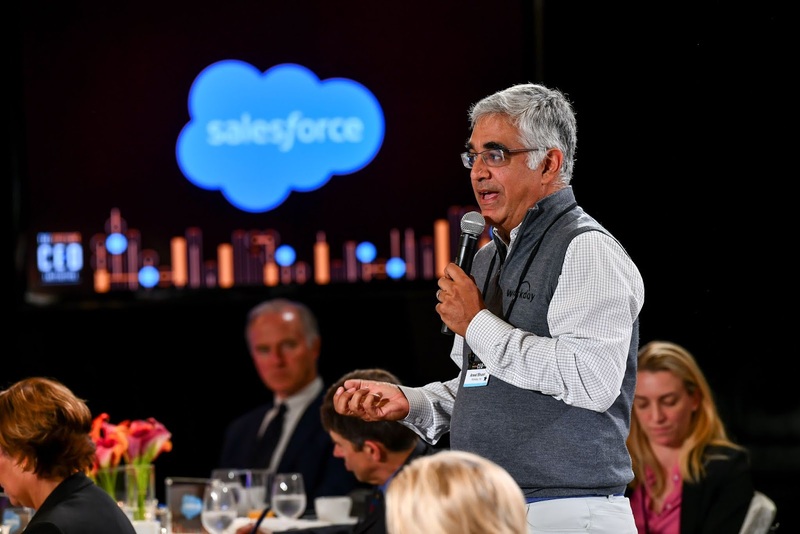 "We had a great third quarter and continue to see significant momentum across our suite of products," Workday CEO and co-founder Aneel Bhusri said. "We extended our market leadership in HCM, welcoming more Fortune 500 customers to the Workday community, and accelerated adoption of Workday Financial Management as more finance organizations move to the cloud. As we look to the remainder of fiscal 2019, we are confident that our commitment to customer satisfaction and product innovation, coupled with our strong company culture, will continue to deliver meaningful growth and customer success." "We’re pleased with our strong performance in Q3, which resulted in accelerated growth across our core business metrics and gives us great momentum heading into year-end," The company's co-president and chief financial officer Robynne Sisco also added. "The strength in our business is allowing us to raise our fiscal 2019 outlook and we now expect subscription revenue of $2.375 to $2.377 billion, or growth of 33%. We continue to prioritize investing in long-term growth initiatives, while delivering solid operating and cash flow margins over time."